Animal presentations right in your classroom. Discover a whole new world just below the Earth’s surface, where countless species find themselves at home. 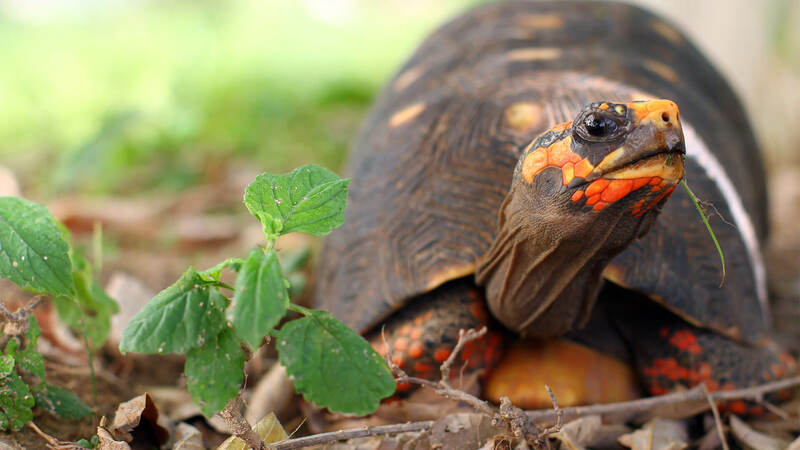 Kids will learn about the adaptations that allow these animals to build their homes under logs, leaves, and trees and meet some of the underground residents, including the gopher tortoise. Time: 30 Minutes, earliest start time 10:00 a.m. Location: Within a 30-mile radius from the Zoo. Additional charge beyond this distance. Reservations: Required at least two weeks in advance. What kind of pet would you like? Maybe a tiger or a really big snake? What’s wrong with having a wild animal as a pet? It’s “wild vs. domestic” in this up-close look at the best bet for a great pet. Florida’s black bears need our help to preserve their habitat. During this presentation, children will play an active role in learning just how we can help do that. They’ll get to meet many of the species that share the bears’ habitat. Part of the proceeds of each presentation is donated to conservation efforts. Introduce your class to real rainforest animals with a presentation that will transport kids to the lush, tropical setting where these species call home. Students will work on interactive activities involving sounds, movement, and stories from this lively ecosystem. Part of the proceeds of each presentation is donated to the Center for Ecosystem Survival. From the desert to the rainforest, animal habitats vary greatly from species to species throughout the whole world. During this presentation, kids will discover how different animals have adapted to their habitats and meet exotic species from all over the planet.